Alfredo “Freddie” De los Santos is a native of Santo Domingo, Dominican Republic. He arrived to the United States in 1986, attended Park West high school in NYC, and subsequently graduated from City College of New York with a Bachelors degree in Graphic Design. Upon graduation, Freddie worked at NYU as a graphic designer. After the 9/11 attack, Freddie joined the Army. On October 20, 2009 while serving in Helmand Providence in Afghanistan, Freddie was wounded in action when the vehicle in which he was riding in was hit by rocket fire. As a consequence of the injury, Freddie lost his right leg above the knee. After losing his leg, Freddie took up handcycling as part of his rehabilitation. 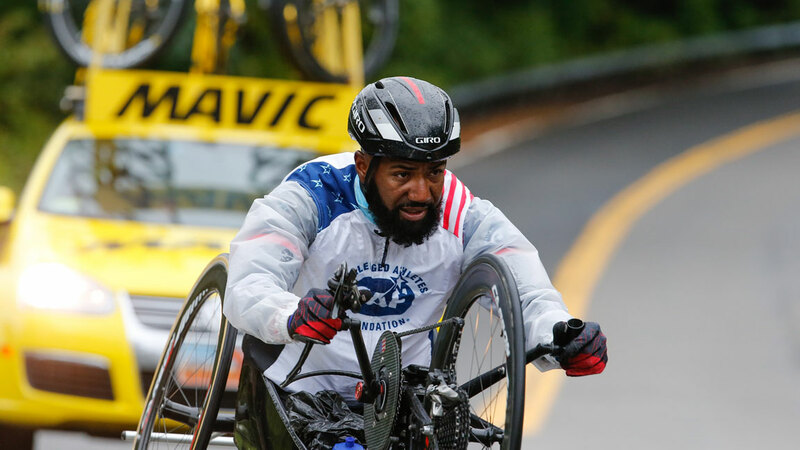 In 2001, Freddie received support from CAF Operation Rebound for his handcycling endeavors. Since then, CAF Operation Rebound has helped Freddie achieve his goal of racing his handcycle at an elite level.